In November 1943, the people of Imber - an isolated village on the Salisbury Plain - were given notice that they were to leave their village so that it could be used by US forces practicing ahead of D-Day. They were never to return, and today the village still lies abandoned, open to the public only occasionally. 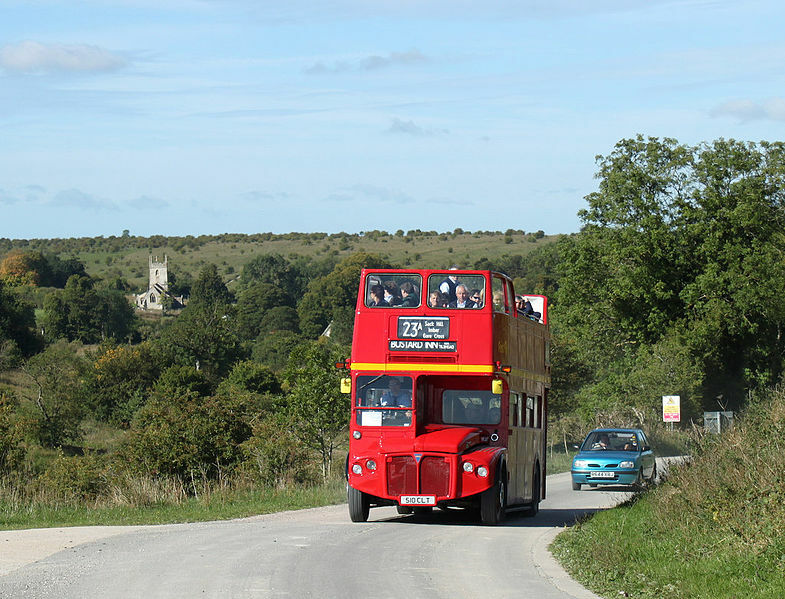 Today is one of the rare open days, and as a special treat visitors are able to arrive by a vintage bus service, and see the remains of the village and its beautiful church. Your author is off there now, thanks to the organisational foresight of Ian from Ianvisits. It should be fun.